I’m both happy (and a bit sad) to announce several NextBillion staff changes. First, we are bidding a fond farewell to Nilima Achwal, who has accepted Villgro Fellowship and is leaving the William Davidson Institute and her editor role with NextBillion. Founded by Ashoka Fellow Paul Basil, Villgro (formerly known as the Rural Innovations Network) is rural business incubator based in Chennai, India, that provides funding and mentoring to rural enterprises that have the potential to scale up and transform rural India. Villgro’s current incubatees span everything from organic farming and beekeeping to linking women artisans with global markets. Nilima told me she’ll be working alongside a “fabulous cohort of 11 Villgro Fellows.” She’s looking forward to staying on as a NextBillion staff writer and periodically contributing posts from the field over the next year. We wish Nilima well on her new journey, but I’m looking forward to reading her dispatches from the field. Taking over for Nilima as an editor for NextBillion, is Heather Esper, research associate at the William Davidson Institute. You will know Heather from her numerous posts on impact assessment and most recently she wrote about the potential for BoP ventures working in livestock. She is part of the Base of the Pyramid (BoP) Initiative team at WDI, which addresses the intersection of business strategy and poverty alleviation. 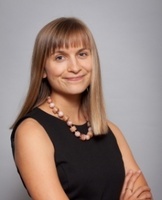 Heather’s work is focused on assessing and comparing the poverty alleviation outcomes of BoP ventures and collaborating with field-based partners to improve the rigor and effectiveness of their impact assessment processes. I’m also excited to announce two new staff writers are joining the NextBillion team. Rose Reis is a program office leading communications for Center for Health Market Innovations (CHMI). Rose already has written several posts on health care delivery efforts with the BoP focusing on improving access to and innovations for patient care. Before joining CHMI, Reis worked at the International Vaccine Access Center at the Johns Hopkins Bloomberg School of Public Health (JHSPH), developing and executing communication campaigns focused on accelerating the adoption of policies to fight childhood pneumonia and the take up of underutilized vaccines in low and middle income countries. Reis has also helped design and launch a family-planning focused interactive web community for the INFO Project at JHSPH’s Center for Communication Programs. There are few people who I can describe as a “go getter,” but I’d say Devanik Saha accurately fits the bill. Devanik, currently a Teach For India 2011 fellow teaching 3rd grade in a low income MCD Girls School in New Delhi, emailed me some weeks back to write about the crowdsourcing initatives he used to fund new supplies and infrastructure improvements at the school were he works. If you haven’t read it already, check out his post, Why My Classroom is a Startup. He also is the Founder of Start Up Girl, a venture which aims to promote female entrepreneurship in India. This year he launched a nationwide COP 17 Campaign to mobilize the youth to fight for climate change and plans to send a delegation to COP 17 Durban in December. 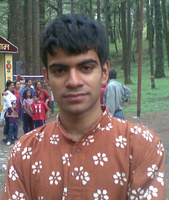 He was a part of the Indian delegation at the South Asian Youth Summit on Climate Change in Sri Lanka in October 2010. He is currently also involved with Team India, Project Survival Media, an environmental journalism network which broadcasts stories of survival and ingenuity in face of climate change and will work on creating a documentary showing small scale solar power in West Bengal.